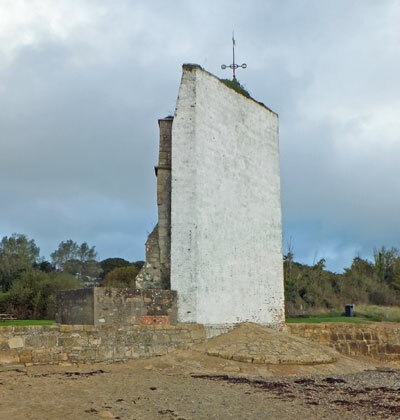 The original ancient church of St Helens was built by the sea and by the early 1700's was in so bad a state that it was abandoned and a new church built some mile inland. The old church was allowed to go to ruin, the 13th century western tower only being left standing. The tower about the same time was reinforced by brickwork and now forms a seamark.